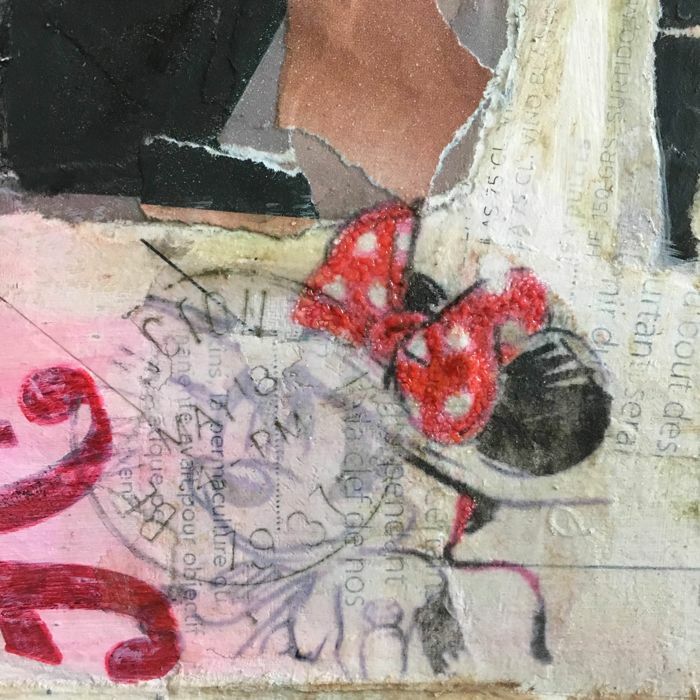 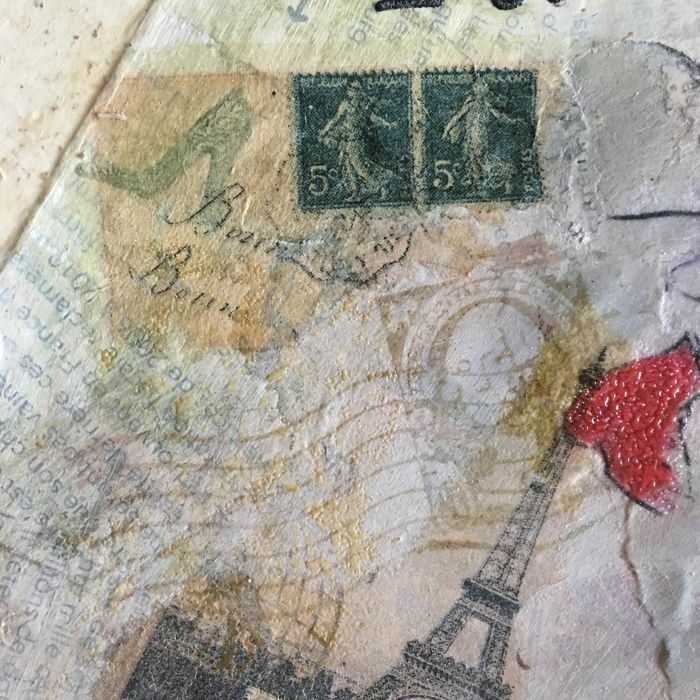 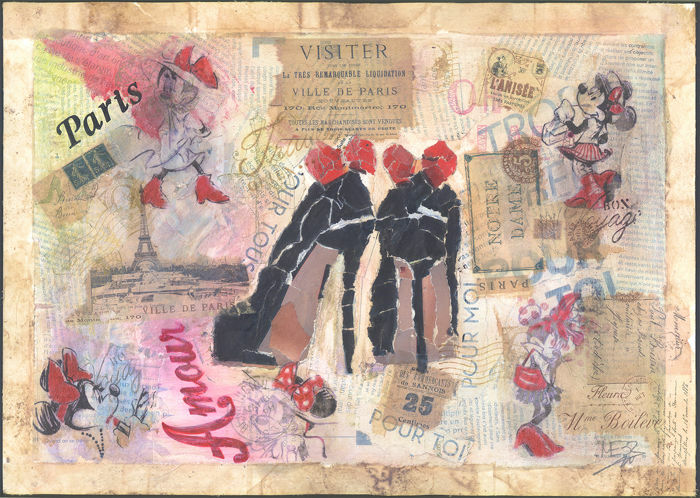 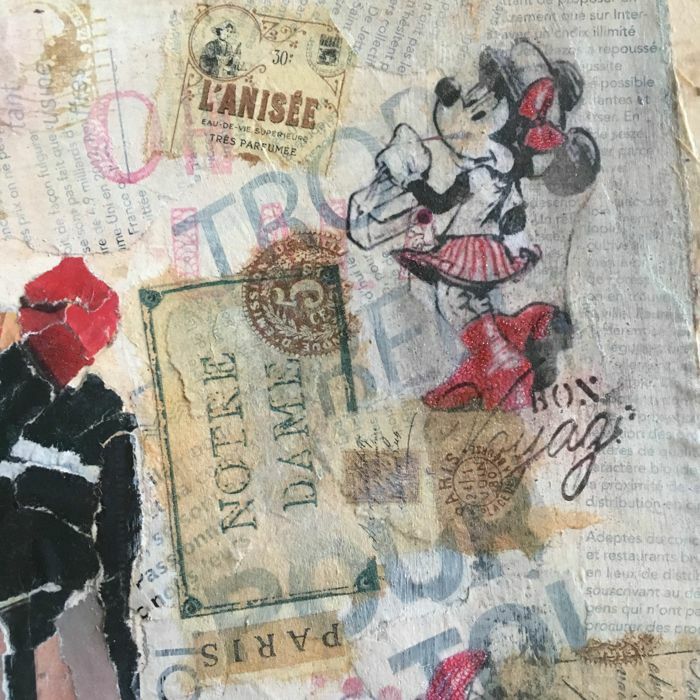 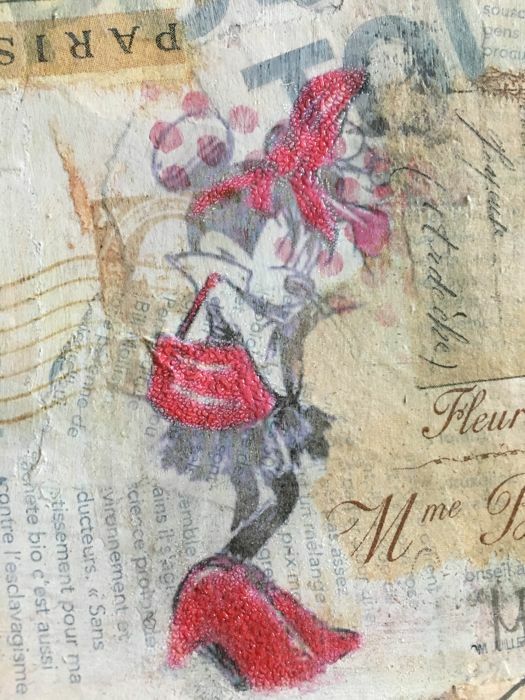 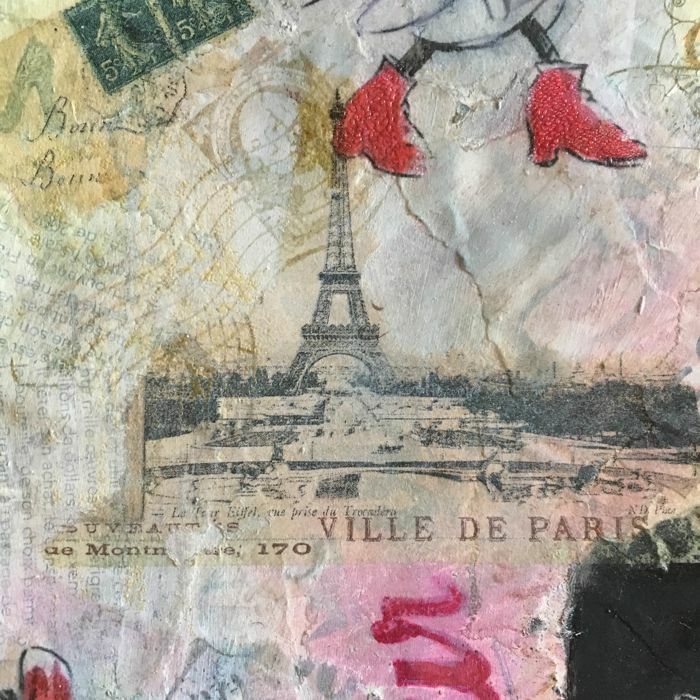 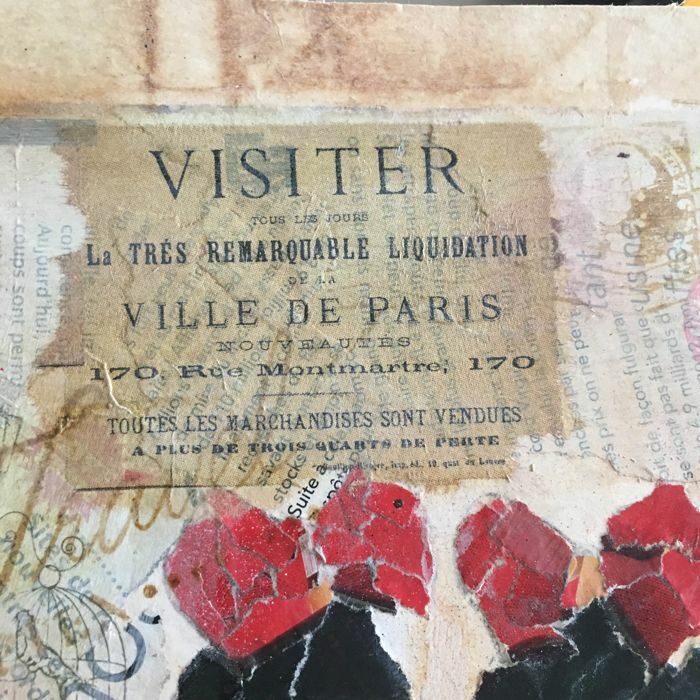 This delightful original artwork of vintage Minnie Mouse enjoying the Paris Fashion Glamour has been created by Spanish artist Meb Dessin using mixed media technique. 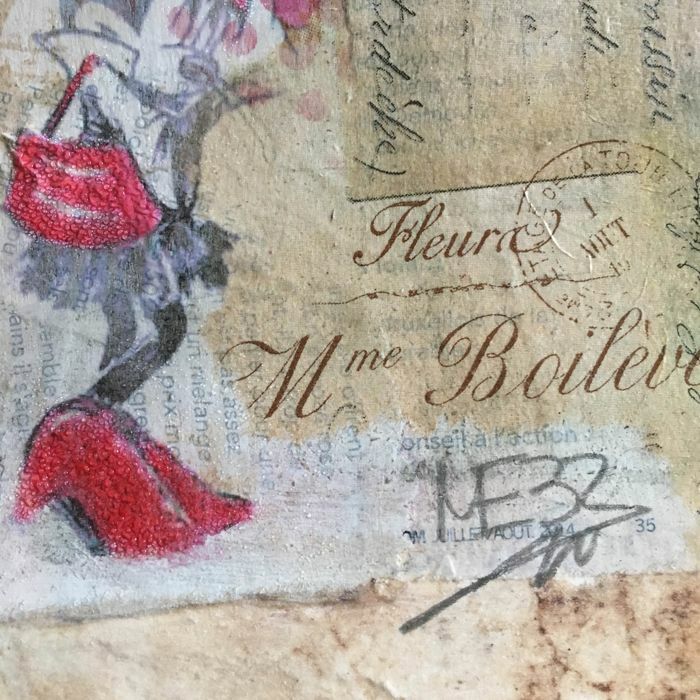 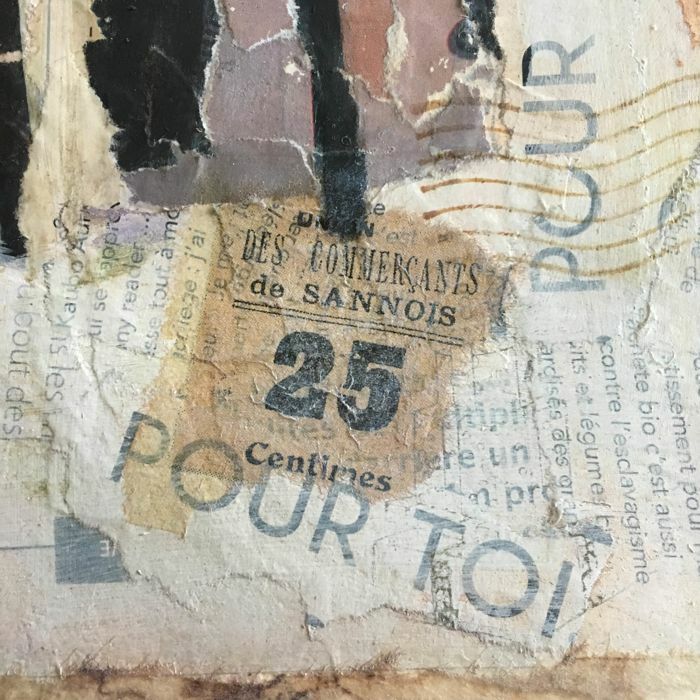 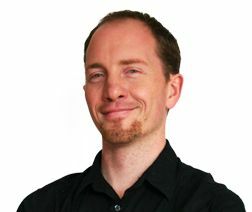 Meb Dessin works in a variety of media. 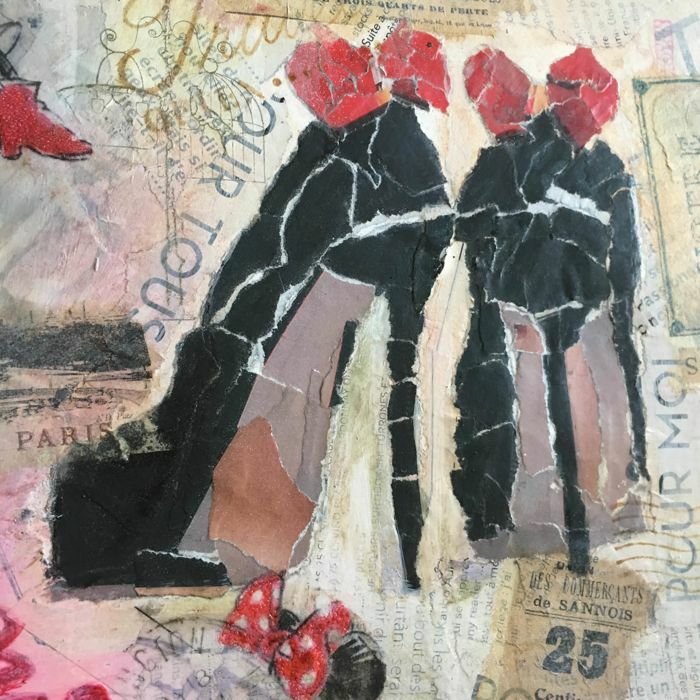 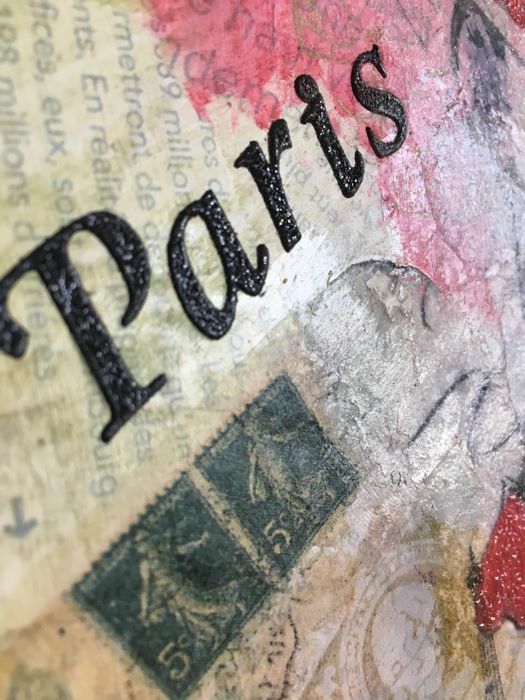 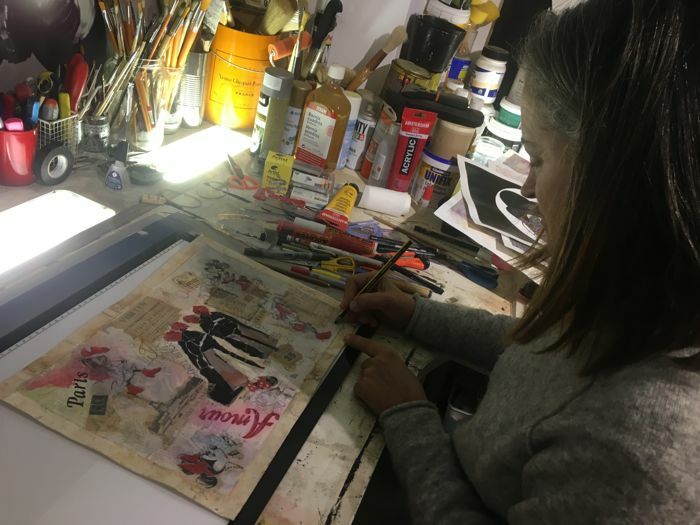 In all cases she combines manufacturing techniques and a wide array of materials, paying special attention to color mixing in the creation of a work of art. 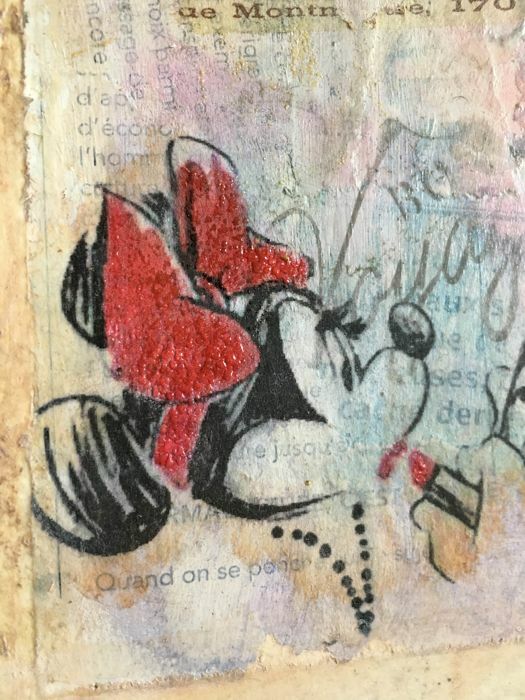 After more than 20 years creating art-design projects, her last collection finds its inspiration in Disney characters. 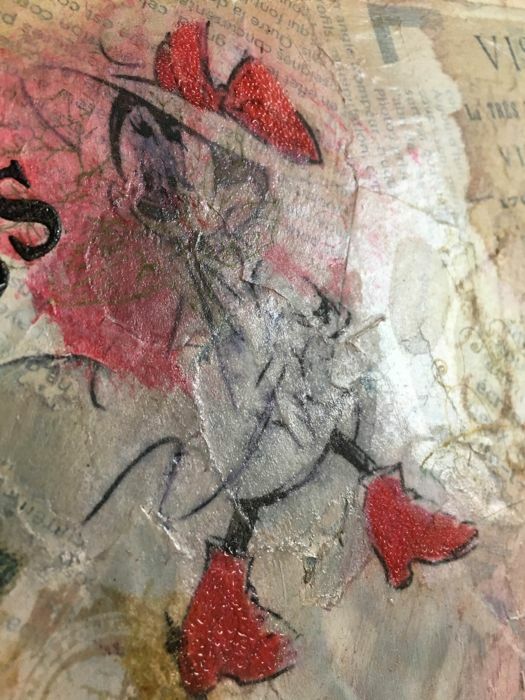 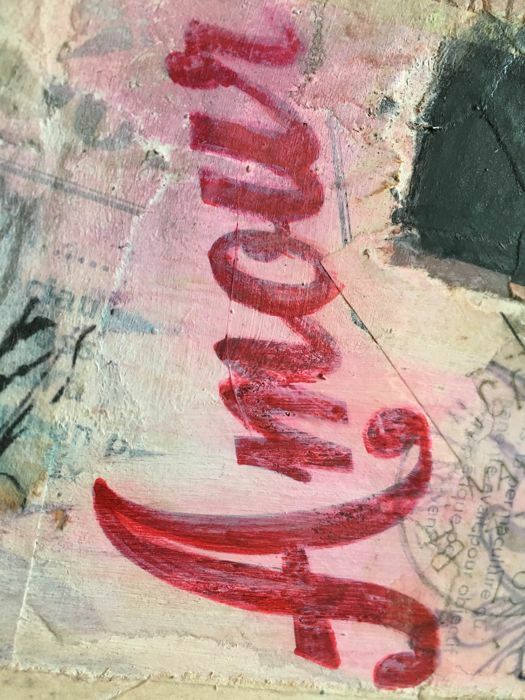 This genuine creation comes from MD's private collection and has been hand selected by the artist to be distributed.